The non-profit Free Bookmobile of Sonoma County has an immediate opening for a part-time Mobile Librarian in its award-winning outreach program. The Free Bookmobile promotes literacy and love of reading by giving away high quality books throughout the region, especially seeking to serve low-income and rural children and seniors. This role involves driving our 24′ Freightliner bookmobile (about the size of a taco truck) on scheduled routes throughout Sonoma County, providing excellent customer service to patrons of all ages as they browse the books, and generally being a strong advocate for reading. The position is approximately 2 – 3 days per week and requires some weekend days. Schedules are made up to one month in advance so it’s relatively easy to plan the rest of your life around it. Shifts range from 7 – 10 hours each and are exempt from overtime up to 10 hours per day. It is a demanding job that will challenge your interpersonal skills and the rewards of working with the people we serve (all ages, races, income levels, from homeless to affluent) can be wonderful for the right person. Some ability with Spanish language preferred as we serve a large Latino population. The wage is $20/hour with no benefits offered. Local references and DMV driving record printout are required as part of the interview process. Passing a Live Scan fingerprint criminal background check is required prior to hire. The position is immediately available but will not be filled until we find the appropriate candidate. Only those who are a close fit for the criteria in this listing should apply. The successful applicant will need to pass a multi-session interview process, including a behind-the-wheel examination and observation of his/her on-site interactions with our patrons. To apply, email a cover letter and resume (PDF format only) to Program Director Glen Weaver at glen@freebookmobile.org. In the cover letter, please describe your interest in the position and how you match or exceed the required qualifications. For more information on our work, visit freebookmobile.org. The Free Bookmobile is a program of the Sonoma County Public Library Foundation (scplf.org), an independent non-profit organization. We are NOT affiliated with the Sonoma County Public Library system. 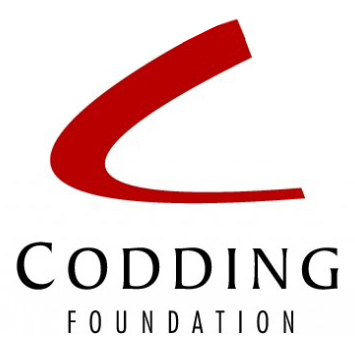 Our deepest gratitude goes once again to Codding Foundation, which has just made a seventh consecutive-year grant in support of our work helping children become literate, lifelong learners. As digital options for filling time saturate the landscape, it is more challenging than ever to keep kids focused on things that are healthy for their intellectual development. Fortunately, the Free Bookmobile is a totally unique temptation! With the help of long-time partners like Codding, we are able to offer great books-of-choice on myriad subjects to children of all ages. It’s a treasure hunt every time they come on board, a fun and engaging experience that convinces kids to set aside the phones and other devices for a while. It just works! Established in 1961 as part of Hugh Codding’s legacy, the Codding Foundation has consistently supported local agencies that help Sonoma County youth and families. President Connie Codding has been very active in local philanthropy for a number of years, which includes service on the boards of PDI Surgery Center, Planned Parenthood Shasta Pacific Board of Advocates in Sonoma County, Sonoma Paradiso Foundation and the Osher Lifelong Learning Institute at Sonoma State University. Thank you, Connie, for all you do for our community! We are thrilled to renew our partnership with Community Foundation Sonoma County and their iREAD cohort for 2019! This program is strongly aligned with our own mission, especially regarding the importance of early literacy and support of language-rich environments for young children. The research shows that children growing up in low-income families are exposed to less verbally rich home environments and are less likely to attend preschool, creating a ‘word gap’ of millions of words between them and their more affluent peers before they’ve even entered kindergarten. Reading aloud to children from day one is the single most important thing a parent can do to help a child enter kindergarten ready to succeed. 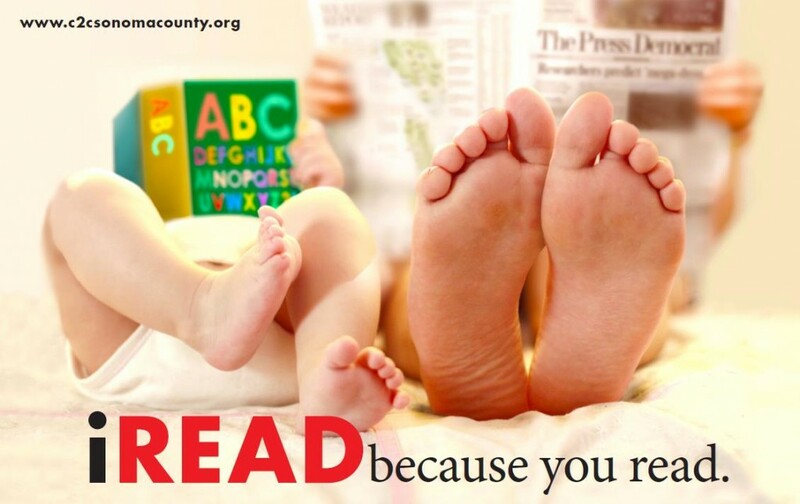 In Sonoma County, however, only 57% of parents read to their children every day. It is critical that we equip parents with the knowledge and tools they need to be effective role models and teachers, and remove the obstacles—real or perceived—to engaging their children in reading. The Free Bookmobile will be funded in 2019 to reach out to thousands of families of young children to make sure they have modern, engaging books to read together, including visits to AVANCE Parenting Classes and Pasitos Playgroups. READ TO YOUR CHILD EVERY DAY. Just fifteen minutes a day makes a huge difference in your child’s language development, and helps them be ready to learn in school. READ FROM DAY ONE. The first eight months of a baby’s life is a peak period for language development. READ IN ANY LANGUAGE–Or use the book to tell a story in your home language. READ EVERYTHING, EVERYWHERE, from street signs to cereal boxes. NARRATE YOUR DAY: Talk with your child while you’re doing activities together. ANYONE CAN READ TO CHILDREN: Older siblings, aunts and uncles, grandparents. Huge thanks to Community Foundation for their leadership and investment in this critical community development issue! One of the joys of working on board the Free Bookmobile is meeting all the dedicated folks who have been helping kids a lot longer than we have! Kiwanis International is a global network of clubs, members and partners dedicated to improving the lives of children one community at a time. Today, they comprise more than 600,000 members from K-Kids to Key Club to Kiwanis and many ages in between in more than 80 countries. Each community has different needs, and Kiwanis empowers members to pursue creative ways to serve the needs of children, such as fighting hunger, improving literacy and offering guidance. Kiwanis clubs host nearly 150,000 service projects each year. Here in Sonoma County, we are grateful for the support of the Geyserville and Petaluma Kiwanis Clubs this fall. They have both made generous donations to make sure we have the resources to promote literacy and love of reading among their respective resident families. The Geyserville Kiwanis Club is involved in myriad activities, including their signature Fall Colors & Vintage Car Show fundraiser event, with all proceeds benefitting local charities, scholarship programs and youth activities. The Petaluma Kiwanis Club, which was chartered in 1954, donates about $80,000 to education scholarships, community projects and non-profit organizations each year. The Club also has its own service projects and is a proud sponsor of student clubs and activities at local schools. Thank you, Kiwanis Clubs, and keep up the good work! Talk about a great use of an existing resource! The creative minds at the Sonoma chapter of Speedway Children’s Charities (SCC) leverage their world-famous racetrack to develop fun, exciting, star-studded events to raise money to help local children. How cool is that? They hosted 12 fundraising affairs during the 2018 season including the Tour de Charity Karting Day, Speedway Children’s Charities NASCAR Banquet, Eric Medlen Nitro Night dinner, and Grand Prix Salute of Sonoma. Some of these events pave a path for amateurs to get onto the track with the pros, and maybe even grab a hot lap behind the wheel. You can join the fun by checking out the 2019 schedule here. Their core mission has always been to distribute these event proceeds to programs who are making a difference in children’s lives. SCC Sonoma have given more than $6 million to local youth groups since 2001, and the Free Bookmobile has been a proud recipient of funding for our children’s services since 2014. SCC even gets directly involved with the youngsters themselves, bringing them out for free on-site STEM education with top race engineers. They also deserve special mention for the work of Raceway President and General Manager Steve Page, who opened the facility gates to provide a refuge for those who were evacuated from their homes during the 2017 wildfires. Page and his staff served meals and sorted donations to provide clothing and necessities to evacuees. He also helped mobilize the local community in thanking public safety personnel, spearheading a “Laps of Appreciation” fundraiser that generated more than $72,000 for the Sonoma County Resilience Fund and the Redwood Valley and Santa Rosa Community Recovery Fund. Ultimately SCC Sonoma established its own Fire Resilience Fund to distribute grants to youth-serving groups that have increased or created programs to support the amplified needs after the fires. Thank you, Speedway Children’s Charities Sonoma, for your tremendous involvement with our community. We’re so happy to be part of the family! 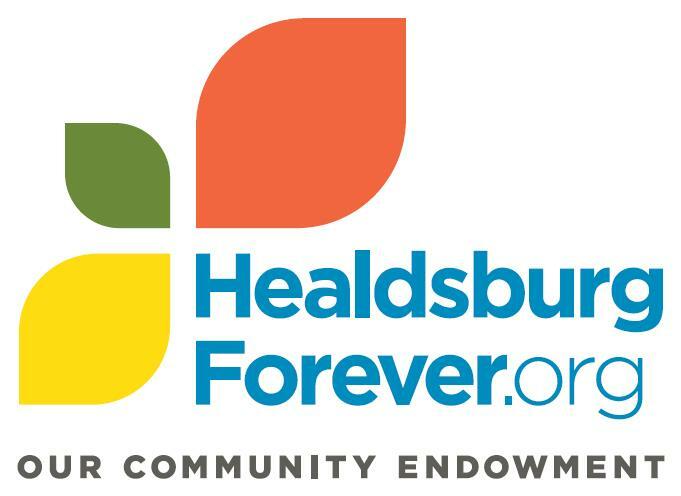 Healdsburg Forever (formerly the Healdsburg Area Fund) is a community endowment created by local citizens in 2003 to provide a dependable income stream for annual grants to support nonprofit organizations serving community needs in Healdsburg and Geyserville. An affiliate of Community Foundation Sonoma County, the Healdsburg Forever Fund has grown to over $1.4 million and secured pledges that will sustain their mission for generations to come. To date, they have granted more than $760,000 to over 56 applicants to help manage program and operational costs for nonprofit organizations. The Free Bookmobile is one of those fortunate programs and we are celebrating a long-term partnership with this dedicated group. In fact Healdsburg Forever was one of the very first groups that invested in our program’s work, back in 2011 when we were a part of the Literary Arts Guild. It gave us a chance to explore the area, learn its population and needs, and begin service relationships that have borne much fruit since. Today our unique brand of literacy promotion is welcomed at dozens of locations throughout Healdsburg and Geyserville where we are making a big impact on people’s lives. We even filled in as the library-on-wheels for a rural elementary school that lost their library space in a fire. As we thank Healdsburg Forever.org for this new 2019 grant, we also want to thank them for the personal relationships that this particular journey has birthed. From the HF board members to the nurturing Boys & Girls Club directors to the good citizens who promote our visits on the Geyserville town marquee, we find ourselves moved again and again by the wonderful people of this region. Thank you so much, Healdsburg Forever.org! Thanks to generous support from Bethlehem Foundation, the Free Bookmobile will continue its dedicated outreach to Sonoma County’s senior citizens, right to their doorsteps! When we launched the bookmobile program back in 2009, we knew right away that service to elders would be one of our primary goals, as they represent a population with far fewer options for access to books. Many are making do with minimal fixed incomes, meaning less ability to purchase books. They also tend to lose mobility and transportation options as they age. The answer is, of course, the friendly neighborhood Free Bookmobile. We roll up to their place of residence and offer great titles across a wide range of categories, including some audio and large print. And without the burden of figuring out how and when to return the books, our senior patrons can relax and take their time enjoying them. We have learned that they are really good at sharing them later with the neighbors, too! The caring folks at Bethlehem Foundation have a terrific funding model going: they make grants to enhance the quality of life of local seniors with the investment proceeds from the 2013 sale of Bethlehem Tower, a 159-unit high-rise apartment building located near downtown Santa Rosa. The icing on the cake is that the new property owner, Reiner Communities, has not only completed extensive renovations but continues to serve low- to very low-income seniors, extending the affordability of the project for an additional 55 years. This is our fourth straight grant from Bethlehem Foundation and we want to extend our gratitude for this terrific partnership! “National Geographic Kids teaches children about the world and how it works, empowering them to succeed and make it a better place. We are consistently recognized as industry leaders in the field of children’s nonfiction books. Our titles are vetted by experts, tested by a kid panel, and approved by parents. National Geographic Kids publishes more than 100 titles each year, including the best-selling National Geographic Kids Almanac, Weird But True books, and a series of leveled readers. For over 40 years, the Sonoma County Alliance (SCA) has brought together local leaders from all fields to encourage a healthy economy, maintain a sound environment, protect private property rights and promote a responsive political process. The Alliance accomplishes these goals through public and member education and, from time to time, through advocacy before decision makers. Strong education leads to a strong workforce, so the SCA is an avid supporter of improving local education in any way possible. Their Education Committee has partnered with Tomorrow’s Leadership Today, the Sonoma County Office of Education, the Santa Rosa Junior College, and other supporters to create a Career Readiness Program. They also host a whimsical annual fundraiser called Bocce for Books, and this year the Free Bookmobile was one of the beneficiaries. We received a grant that will provide a nice boost in our ability to purchase materials for our youngest patrons — board books for little hands, early readers for preschoolers, and Spanish/bilingual books for families to read together. Big thanks to the SCA Education Committee for this opportunity to strengthen our resources and create better outcomes for our many low-income and access-challenged patrons!